Underground service locators have no doubt become a necessity on every construction site these days. And one of the world’s leading brands when it comes to locators is Radiodetection. They have a wide variety of models to choose from so it can get a bit confusing as to which one you should choose. There are quite a few differences between them so we have tested and tried a handful of models hopefully making choosing an underground service locator a little easier. The reason we chose Radiodetection is because they offer global support, they are versatile, and we found them to be much better than other leading brands. If you wish to know more about the underground services locators we reviewed, keep reading. This is considered to be the entry level model but surprisingly still comes with a huge variety of features. The whole kit comes with more than enough for general location jobs. It includes a signal generator, locator, leads, earth stake and induction clamp. They all come in a bag which also comes with USB cables, CAT software and user manuals. It is user friendly, easy enough to set up, it is quality made and has an easy to read display. Even someone who isn’t accustomed to using underground services locators will find it easy as all you need to do is push a trigger once everything is set up. This is a great choice for those who want something easy and fuss free. This is definitely more of a precise and high performance type of equipment. It is built around an enhanced set of features which have all been designed to precisely find the location of utilities, underground services, pipes and cables. There are a number of frequencies you can use as well as different modes all made for locating services and so on. There is even a compass that is built into the display helping you keep track of which direction the buried cable is going, making it easier to keep track. It doesn’t get much more high tech than this and is definitely for people who need a piece of equipment that does it all. This is the more advanced version of the RD7000+ which makes it one of the most advanced underground service locators in the world. 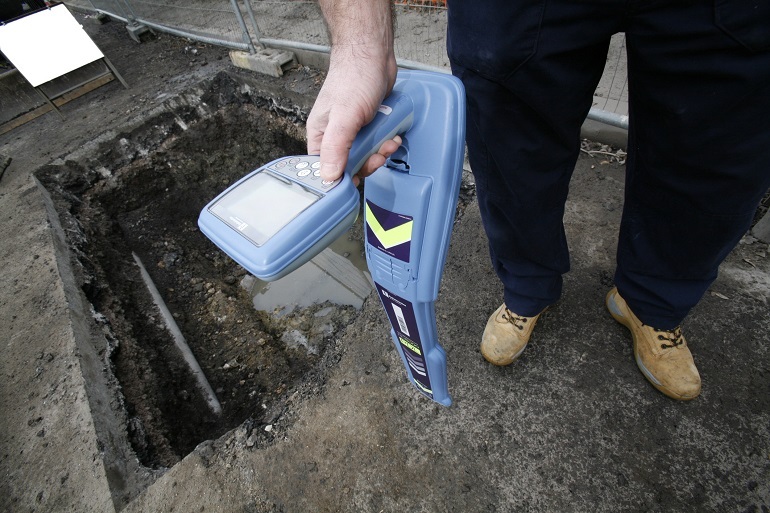 It comes packed full of features and gives you the most accurate reading when trying to locate cables underground. It comes with a total of 5 antennas which is 1 more than the RD7000+ making it more accurate than the last one. Overall it comes with plenty of features and great accuracy when it is used properly. You can also easily customize it to your needs. If you really want to go all out and set yourself apart from your competitors, this is the piece of equipment for you. This piece of equipment is one step up from the CAT4+ as it comes with a few additional features. The most noticeable difference between the two is that the RD2000 comes with the ability to use more than one frequency which can be manually selected by the person using it. This is a great choice for those of you who don’t want to spend a fortune but still need some accuracy and work in more difficult conditions. While it isn’t as precise as the more expensive models, it does travel over long distances quite well.